Milan is one of the must-see places in Italy. Although famous for being The European Capital of Fashion, Milan boasts a few tourist attractions worth seeing. Besides, there are some cool day trips you can take from Milan, so you can make it your base camp for one week, to see the beautiful Lombardy. As Milano Airports are important nodes for flights to and from exotic destinations all over the world, you might end up having one day Milan layovers. 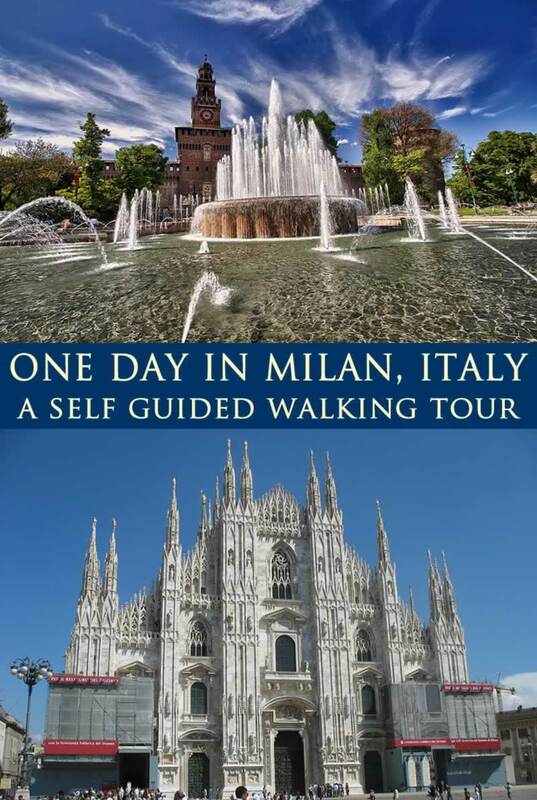 This is a self guided walking tour you can try if you have one day in Milan. Find and book Milan tours and activities on Viator.com. Book ahead to save time and money! Wherever you may be coming from, chances are you’ll have an easy time getting to Milano Centrale, the main train station in Milan. This is one of the main railway stations in Europe, and it is conveniently located in the center of the city. This makes it the perfect spot to start your one day in Milan from. Even if your self guided walking tour won’t end in the same spot, you’ll find lots of transportation options to get to Milano Centrale once you’re done walking and shopping. When planning your day, you should consider leaving the shopping for the end of your walk, in order to avoid carrying all those bags with you through museums, cathedrals and parks. Once you’re done with your sightseeing, you can head over to some shops and spoil yourself with a few nice outfits or an elegant pair of shoes. Speaking of this, make sure you wear comfortable walking shoes like these ones, as you have a long day ahead. If you want, feel free to see my own top of the best walking shoes for travel. My one day in Milan actually started from Bergamo. I took a train to Milano Centrale early morning. Although I thought everything was clear, I managed to make a mistake. I took the train going the opposite direction. I had noticed that the train arrived about ten minutes earlier than scheduled, but I didn’t have any worry. I imagined it just arrived in advance. Little did I know I was going to waste about one hour of my day in Milan jumping from one train to the other. As I was watching the mountains out the window, I was struck by a dark insight: the mountains were on the wrong side of the railway. I realized my mistake before arriving to Brescia, so I was able to jump off the train as soon as it hit the station. It only took a few seconds to notice a train that was heading to Milan. After asking a few people for confirmation, I jumped on that train. It didn’t even cross my mind that my ticket I had bought the previous day wasn’t good for this fancier train. As the control team came, I showed them my ticket. The Italian guy smiled and explained in Italian that I should have taken another type of train. At the same time, he realized that my journey had started in Bergamo, so he understood I had taken the wrong train. He smiled, and allowed me to travel without having to pay anything extra (although I was pretty sure the new train was more expensive, as it was better looking and much faster than the other one). Anyway, my advice to you is to watch carefully what type of train you want to take, and buy your tickets accordingly. Beware that in Italy trains heading to opposite directions may share the same rails. Bergamo is one of the stations where this happens. You always need to make sure you take the train you were intended to. If you see it arriving earlier than expected, ask someone where it goes. Milano Centrale is very close to the Duomo, so here’s where you should start your tour from. If you want to visit the cathedral, take into consideration you’re going to need between one and two hours. The tickets start from around $25-$30 for a self guided audio tour, and they may go up to over $40 for skip-the-line access and the visiting of the Crypt. If time allows, you should go for the full tour. 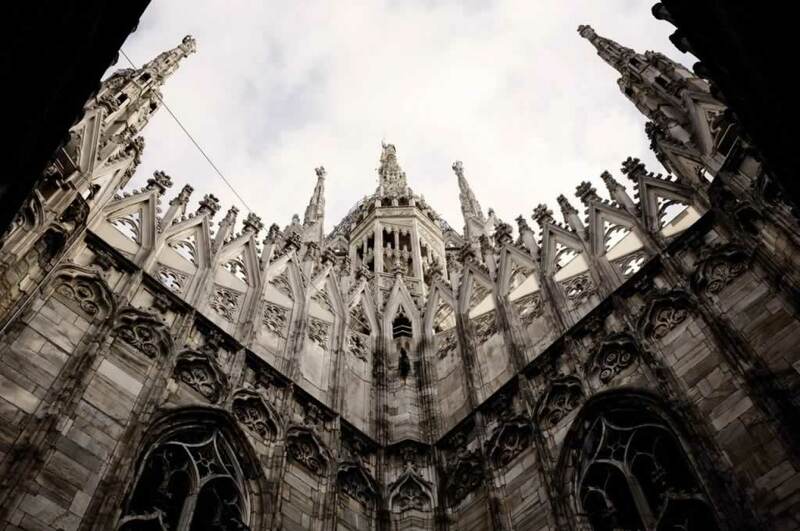 Buy your Milan Cathedral and Rooftop ticket here today, Friday, April 26th 2019. Keep in mind that some of the tourist objectives included in the tour are closed on Wednesdays. 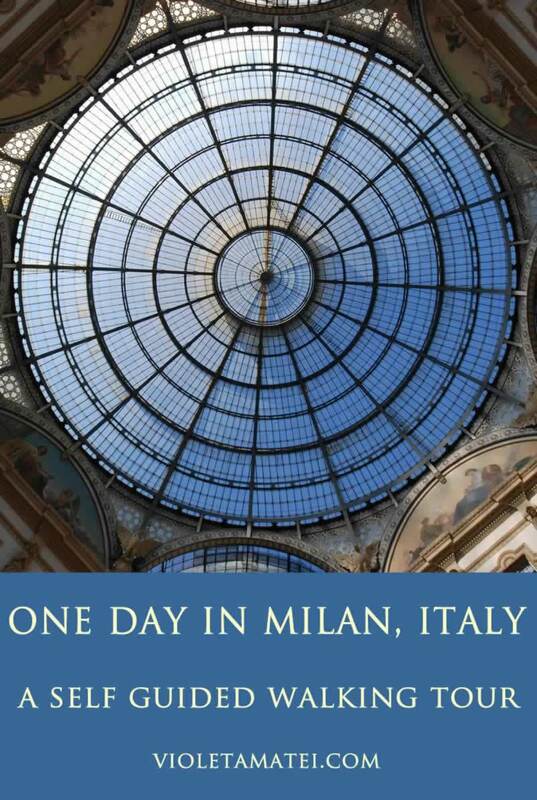 If you can spare two hours and 57 Euro, you can get this Milan Instagram Tour. The striking Gothic design of the Duomo is worth the money and the effort. Besides, climbing to the top of the cathedral will grant you an excellent photo opportunity. If you don’t want to take the stairs to the top, you can pay a few dollars more to choose the elevator ride. Even if you decide to skip the visit, you should still assign about 30 minutes for taking photos of the exterior of the cathedral. This impressive construction took about 600 years to complete, and it is a marvelous work of art. You have to see it to understand why everyone considers it a must-see. Do you want to see the world’s oldest shopping mall? This is the Galleria Vittorio Emanuele II, a four-story covered passage which is considered one of the major landmarks of Milan, Italy. 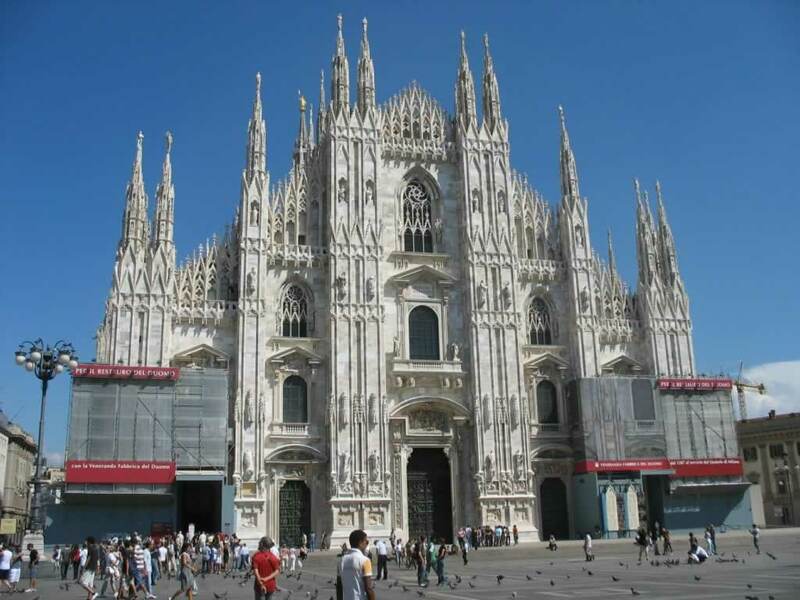 As you stand in front of the Duomo di Milano, facing the building, the Galleria is on your left hand side. If you can’t spot it, just ask anyone around you for directions. Most probably you won’t be doing any shopping inside the gallery, as those luxury shops have crazy prices. Expect to spend a few good minutes inside, though, because the mosaics on the ground are amazing, as well as the arching glass and cast iron roof. One of the four mosaics depicts a bull which is very hard to miss, as there are always crowds of people around it. The legend says that spinning around with one heel on the bull’s balls will bring you good luck. Unfortunately, this legend has helped creating a big hole in the said area of the Turin Bull. 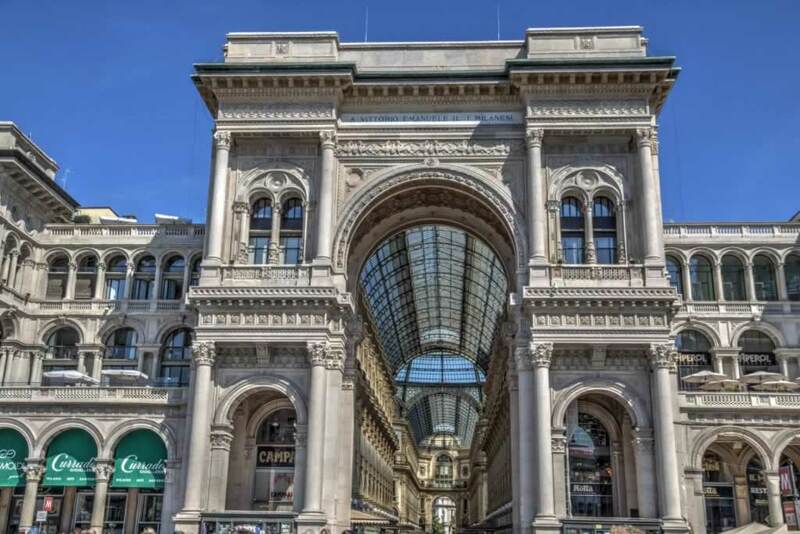 As you exit the Vittorio Emanuele II gallery, you’ll reach Piazza della Scala. Here you can find the statue of Leonardo da Vinci, and a few museums worth vising. However, remember that you are supposed to spend only one day in Milan, so you may want to skip all these museums. 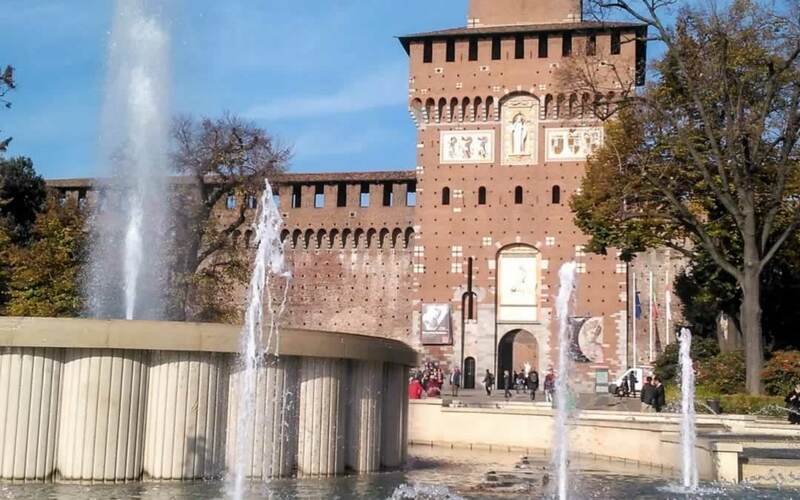 Save them for another time, and head to the next stop, Sforza Castle. Sforza Castle, also known as Castello Sforzesco, was one of the largest citadels in Europe, during the 16th and 17th centuries. 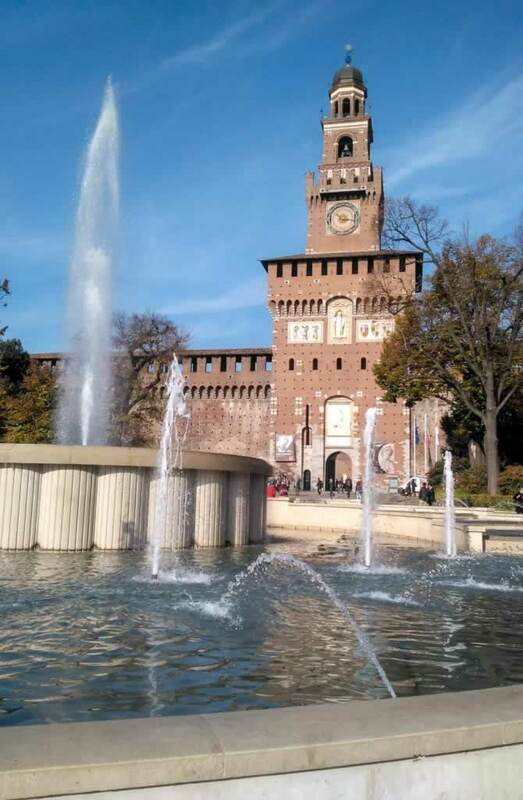 You’ll get to Sforza Castle right after you leave the Scala Square (Piazza della Scala). The castle is hard to miss, as it is literally huge. The castle hosts the Museums of the Castello, where you can see one of the last works of Michelangelo and many other masterpieces of great Italian artists. If you plan to visit the museum, make sure you schedule one full hour for that. 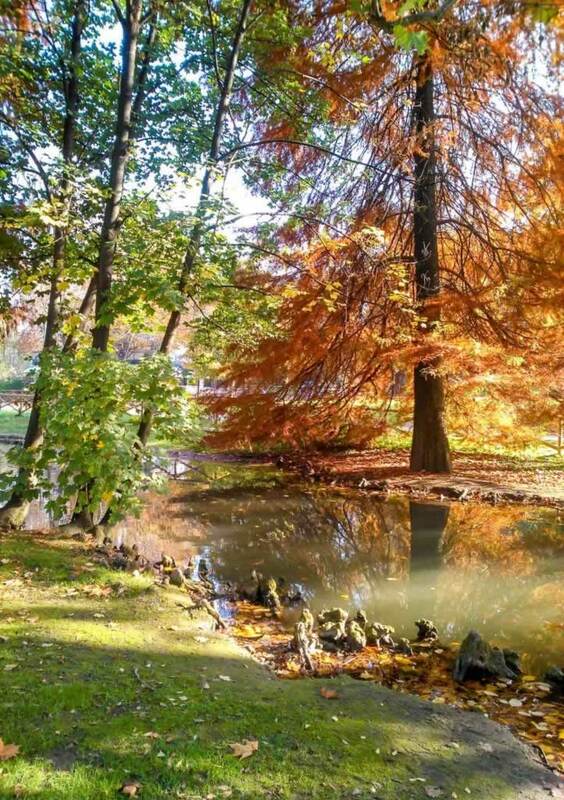 Behind the Sforza Castle you’ll find the Sempione Park. This is a lovely place, an oasis of peace and relaxation. 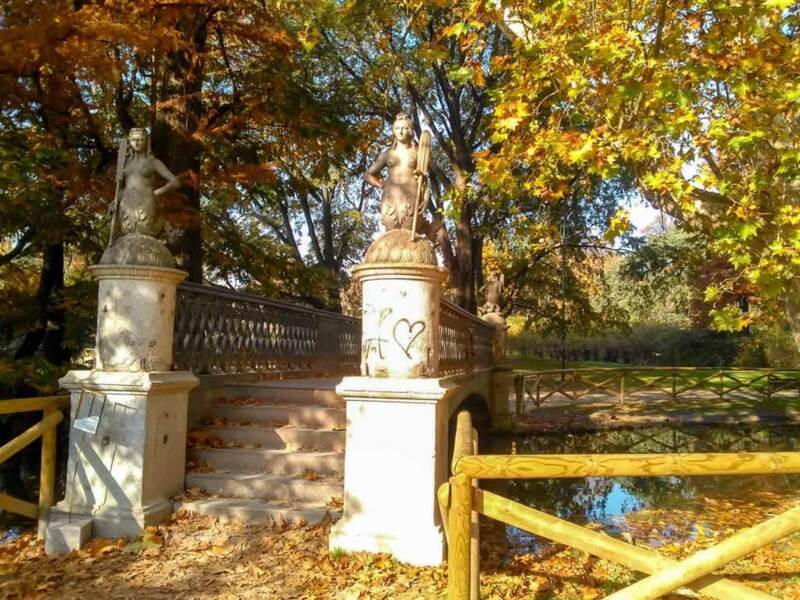 I would have loved to spend my full day in Milan in Parco Sempione, watching the people passing by, the leaves falling off the trees, and the lovers holding hands and kissing on the wooden benches. The admission to Park Sempione is free of charge. During winter months, the park is open from Monday to Sunday,. from 7 am to 6 pm. During summer months, it closes at 7 pm. Anyway, if you make it part of your Milan one day itinerary, you’ll find it open regardless the season, as you’ll get here by 2 pm (give or take one hour). Exit Sempione Park through the gate nearby the Triennale di Milano, take the Viale Moliere street, then Viale Pietro e Maria Curie, Via G. Leopardi, Via Aurelio Saffi, and then Via Fratelli Ruffini. Buy your half-day history tour and The Last Supper here. This terracotta Renaissance church with Gothic interior is home to Da Vinci’s The Last Supper. The church is very beautiful, and it makes a cool contrast with the surrounding buildings. It is a very nice place to sit and enjoy the afternoon sun. I didn’t visit it, but I spend quite a while taking photos and enjoying the view. This is a landmark neoclassical pink granite gate with pillars, erecting right in the middle of modern constructions, roads and railways. It marks Napoleon’s victory in Marengo. You’ll only need a few minutes to catch your breath and take a few photos. 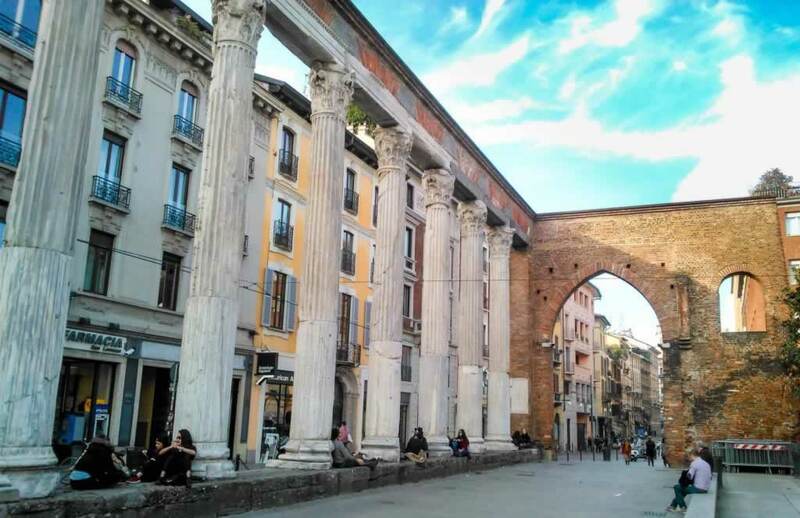 If you’ve got enough of walking for your day in Milan, you can skip it, and go straight to the Columns of San Lorenzo. This is an archeological site consisting from of 16 Roman marble columns, next to remains of an amphitheater and baths. It is amazing to see the new and the old together. I love how Italians preserved their ancient remains without compromising on the development of the city. People in Milan can go on with their lives, while tourists and history fans can stop to appreciate the beauty of ancient constructions. If you look on a map of Milan, you’ll see that you are already close to the Duomo and to Milano Centrale. Depending on the amount of time you have left, you can either stop for some food, get on your train, or go for some shopping. Via Montenapoleone is the place to go for luxury shopping in Milan. For more down to earth shops (and ready-to-wear brands you can find all over Europe), head over to Corso Buenos Aires, or Corso Vittorio Emanuele II. For unique clothing items and nice food choices, try the Corso Venezia Avenue and Corso di Porta Ticinese. For slow travel and relaxed sightseeing, you should schedule an overnight stay in one of the Milan hotels. You can find a pretty good list here. This would enable you to visit all the museums and take your time to admire all those stunning works of art and architecture. 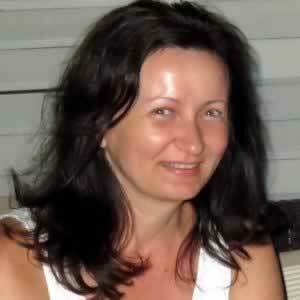 Congrats on the nice blog, I saw the link from the Bloggers & Travellers FB group. A well researched and well written article. 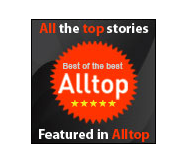 We’d be happy to include your posts on wordoftravel if you’d like to promote them further. I’ll keep an eye out for it for approval. Thank you, Dale. I’ll take a look at worldoftravel.